How we build is as important as what we build. 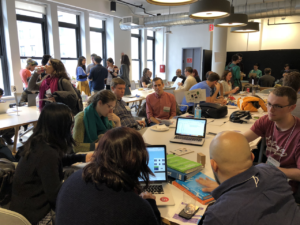 Thank you for making NYC’s School of Data an amazing day and making NYC’s second annual open data week an epic adventure across the Boroughs! 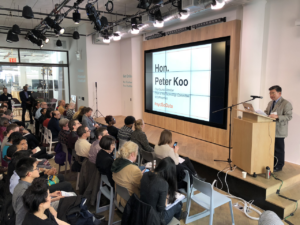 2018 is our second year where we simultaneously celebrated International Open Data Day and kicked off the City’s Open Data week! If you missed any of our talks or panels, all of our sessions are on YouTube. Many thanks to our tireless partners at the Internet Society of New York for connecting us to the rest of the universe! 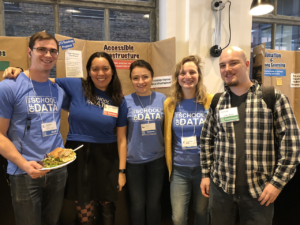 As a community driven conference, NYC School of Data’s strives to be an inclusive environment that reflects our collective ideals. 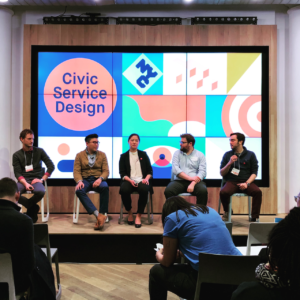 Built on top of the values enshrined in the People’s Roadmap to a Digital New York City, this year we hosted 13 sessions with a focus on digital literacy, privacy, smart cities, service design, open government, and civic technology. We thank our 32 event volunteers and 59 speakers, panelists, and hack hall hosts. With the help of Microsoft New York, we were able to offer free, professional, on-site childcare provided by Sitters Studio. THANK YOU! 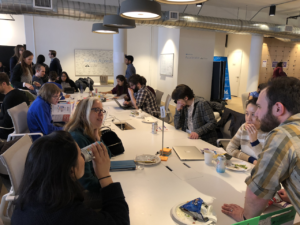 Additionally, we experimented by hosting the City’s first “hack hall.” Imagine a space that is open and akin to a science fair that flirts with being a hack-day. Our hack hall was our first attempt at hosting an event similar to a “DiscoTech”, aka “Discovering Technology” technology event. We thank the 18 projects that opened their doors and invited in community participation. As the City’s design and technology communities embrace civic / progressive / government services, we are very aware that more work is needed to provide a solid foundation for a community festival. We were honored to have Manhattan Gale A. 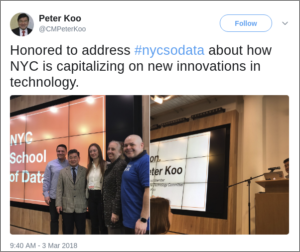 Brewer, Council Member Koo, former Council Member Vacca, the City’s technology and data leadership, and a collection of amazing agencies that are leading 21st century government technology, data, and design. Thank you Mayor Bill de Blasio for your recognition of our efforts in expanding the conversation around technology, data, and design in government. Lastly, we thank our venue partner, Rise New York, for being wonderful hosts and letting us take over both of their floors. This is our third event at Rise and couldn’t image a more accommodating partner. 32 event volunteers – thank you for your hard work through the day! 8 children in childcare – thank you Microsoft Civic for sponsoring this year! Fear not – thanks to the Internet Society of New York, we recorded all of the 2nd floor sessions and they are now available on youtube. Links are below.